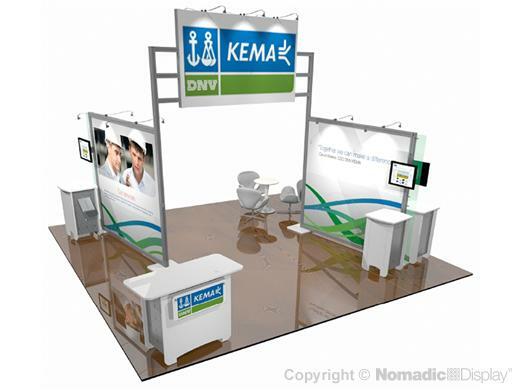 Drive visitors to you with an island display that conveys your company’s leadership position in the industry. This DesignLine modular display offers bold overhead signage so you’re seen across the show floor, a greeting station and interactive kiosk with lockable storage, a casual seating area and plenty of graphic surfaces to communicate your message - - all for a Show Smart price. 2 - RollMax Case - 60.50" x 34" x 56"
4 - FlatPack 300 - 14.02" x 29.72" x 52.56"